"Dragonair" redirects here. For the Pokémon of the same name, see Dragonair (Pokémon). Not to be confused with Loong Air. Hong Kong Dragon Airlines Ltd (Chinese: 港龍航空公司), operating brand as Cathay Dragon (Chinese: 國泰港龍航空) and previously as Dragonair, is a Hong Kong-based international regional airline, with its corporate headquarters, Cathay Dragon House, and main hub at Hong Kong International Airport. As of 30 October 2013, the airline operates a scheduled passenger network to 44 destinations in 13 countries and territories across Asia. Additionally, the airline has 3 codeshares on routes which are served by partner airlines. It has an all Airbus fleet of 41 aircraft, consisting of A320s, A321s, A330s and B747 (Cargo). Cathay Dragon is a wholly owned subsidiary of Hong Kong's flag carrier, Cathay Pacific, and is an affiliate member of the Oneworld airline alliance. The airline was founded on May 24, 1985 by Chao Kuang Piu, the airline's present honorary chairman. Its maiden flight departed Hong Kong for Kota Kinabalu, Malaysia after being granted an air operator's certificate (AOC) by the Hong Kong Government in July 1985. In 2010, Dragonair, together with its parent, Cathay Pacific, operated over 138,000 flights, carried nearly 27 million passengers and over 1.80 billion kg of cargo and mail. The airline was established in Hong Kong on May 24, 1985 on the initiative of Kuang-Piu Chao, the airline's present honorary chairman, as a subsidiary of Hong Kong Macau International Investment Co. It started operations in July 1985 with a Boeing 737-200 service from Kai Tak International Airport to Kota Kinabalu International Airport in Malaysia, after receiving an Air Operator's Certificate (AOC) from the Hong Kong Government. The airline began services to Phuket, Thailand, as well as six secondary cities in mainland China on a regular charter basis in 1986. In 1987, the airline became the first Hong Kong-based airline to join as an active member of the International Air Transport Association (IATA). Dragonair was the first local competitor for Hong Kong's largest airline, Cathay Pacific, in forty years; and since the airline's inception, Cathay Pacific fought vigorously to block the airline's flight-slot applications. In January 1987, the airline announced its expansion by the order of two long-range McDonnell Douglas MD-11 aircraft. However, after a heated hearing before Hong Kong's Air Transport Licensing Authority, the Hong Kong Government adopted a one route-one airline policy, which lasted until 2001. The airline was not able to gain the scheduled routes it needed to compete effectively. The airline was disadvantaged in that Hong Kong's financial secretary back then, Sir John Bremridge, was a former Cathay Pacific chairman. It was later discovered that Cathay Pacific was concentrating on a boom in travel elsewhere in the 1980s, and left the undeveloped mainland China market to Dragonair. Forced into accepting less-desirable routes, the young airline focused on the mainland. By 2009, services to Bangkok and Tokyo; and the expansion plans to introduce services to Sydney, Seoul and the United States have been cancelled and terminated. In addition, the planned nine-aircraft freight operation has also been eliminated, with three Boeing 747-400BCF freighters transferred to its parent fleet while the two remaining parked at Southern California Logistics Airport in Victorville, California. Dragonair's own loyalty program, The Elite, that was launched on 12 February 2001, was merged into Cathay Pacific's The Marco Polo Club from 1 January 2007. Existing Elite members were offered similar membership by The Marco Polo Club. On 1 August 2007, the airline opened a joint regional office with Cathay Pacific in Beijing, that featured a dedicated area for the airline and its parent, and joined the Oneworld alliance as an affiliated member on 1 November, which its parent is a founding member. In addition, they opened the first airline-branded arrival lounge, The Arrival, at Hong Kong International Airport on 1 October 2008. The airline's ground handling services subsidiary, Hong Kong International Airport Services Ltd (HIAS), was merged with Hong Kong Airport Services Ltd (HAS) on 1 November 2008 and became a wholly owned subsidiary of Cathay Pacific on 1 December 2008. In January 2016, Cathay Pacific announced it was rebranding Dragonair as Cathay Dragon.According to CAPA, Cathay Dragon brand will activate on November 21. The airline currently operates its own aircraft to 47 destinations including 22 destinations in mainland China from its home base Hong Kong. The airline's original livery consists of a thick red-colored horizontal strip along a white-colored fuselage with a red-colored vertical stabiliser. The airline's traditional Chinese and English name and its logo are in gold color and are painted on the forward fuselage above the red horizontal strip and on the vertical stabiliser, respectively. The previous livery is in white color with a red dragon on the cowling and on the vertical stabiliser; and the airline's name written in Chinese red lettering and in English black lettering above and below the front passenger windows, respectively. In addition, there is a 30 cm Oneworld logo next to the first left door and a Swire Group logo on the aft of the aircraft. On 5 May 2005, Dragonair celebrated its 20th Anniversary with a new Airbus A330-300 (B-HWG) painted in a special livery. The work of art took 14 months to realise, from design tender to completed image. The special livery featured a waterside view with a junk and fishes leaping out of the water at the front of the aircraft; a red dragon spread across the fuselage in the daylight; and children playing with traditional Chinese lanterns by the waterside of an ancient village on the left side of the aircraft, representing the past. It also featured a waterside view with a Star Ferry at front of the aircraft; and a red dragon spread across the fuselage in the Hong Kong night sky, representing the present. Stanley Hui, Dragonair's CEO at the time, described the special livery "embodies the spirit of the Chinese dragons of old – a spirit that aspires to excellence". The aircraft was removed from service in February 2013, at the expiration of its lease. In 2016, Cathay Pacific, Dragonair's Parent Company, announced that they would be re-branding Dragonair to Cathay Dragon. For this change, a new livery has been adopted. The new livery is similar to Cathay Pacific's new livery in the tail logo and font. The major difference is instead of the Cathay Pacific green theme, it has a light maroon theme. The titles say Cathay Dragon along with Chinese lettering reading the name. Dragonair's Dragon logo has been retained and appears next to the cockpit windows. Airbus A330-300, B-HYQ, was the first aircraft to wear the new livery. Cathay Dragon shares two loyalty programs with its parent company, Cathay Pacific: The Marco Polo Club (The Club), a loyalty program, and Asia Miles, a travel reward program. Members of The Club are automatically enrolled as Asia Miles members. Food and beverages served on flights from Hong Kong are provided by LSG Lufthansa Service Hong Kong Ltd, a Dragonair associate. A variety of regional dishes, such as dim sum, Fokkien fried rice, barbecue pork with fried rice and chicken with Thai sweet chilli, is served on flights into mainland China. However, only beverages and cakes will be served in Economy Class for flights between Hong Kong and Changsha, Clark, Guangzhou, Haikou and Sanya. The airline's in-flight entertainment system, offers video and audio channels in all cabin classes on selected Airbus A330-300 and Airbus A321-200 via personal televisions (PTVs). In addition, the airline provides a range different newspapers and magazines from around the world, including the airline's in-flight magazine Silkroad. Beginning in March 2013, the majority of the airline's fleet will be retrofitted with new Business and Economy Class seats. The seats are nearly identical to the new Regional Business Class and new Long-haul Economy Class products offered by parent company Cathay Pacific. Seats in both classes will be fitted with StudioKA (a rebranded version of the StudioCX inflight entertainment system on board Cathay Pacific aircraft), which features a 12.1-inch (Business Class) or 9-inch (Economy Class) touchscreen display, Audio/Video on Demand (AVOD), support for iOS devices, and a USB port for connectivity to other devices. In-seat power outlets will be available to all passengers. The new Business Class will feature a 21-inch wide recliner seat with 45 inches (narrowbody aircraft) or 47 inches (widebody aircraft) of pitch, while the new Economy Class will be 18.1 inches wide with 30 inches (narrowbody aircraft) or 32 inches (widebody aircraft) of pitch. The retrofitting process is expected to be complete by the end of 2014. Since its founding in 1985, the airline has been investing into airline-related servicing companies, including inflight catering, ground handling and service equipment companies. Hong Kong Airport Services Ltd (HAS), a former wholly owned subsidiary, provides ground handling services to the airline at Hong Kong International Airport. Their services include airside/landside operations, airport lounge, baggage services, cargo services, ramp services, ticketing & Information, station control and flight operations. On 1 November 2008, HIAS was integrated into Hong Kong Airport Services Ltd (HAS), a joint venture between Dragonair and Cathay Pacific, to become one of the Asia's largest airport services providers. On 1 December 2008, HAS became a wholly owned subsidiary of Cathay Pacific. ↑ Skytrax. A-Z of 2015 World Airline Awards winners (Report). Retrieved 25 June 2015. ↑ "Hong Kong." Dragonair. Retrieved on 8 September 2010. "Head Office: Dragonair House, 11 Tung Fai Road, Hong Kong International Airport, Lantau, Hong Kong. " ↑ "香港." Dragonair. Retrieved on 12 February 2011. "總辦事處： 香港大嶼山香港國際機場東輝路11號 港龍大厦." ↑ "Cathay Pacific releases combined traffic figures for December 2009". Cathaypacific.com. 21 April 2006. Retrieved 30 December 2012. 1 2 3 4 5 6 "Hong Kong Dragon Airlines Ltd.". fundinguniverse.com. Retrieved 27 July 2009. ↑ Birkett, Chris (11 January 1986). "The Year of the Dragon" (PDF). Flight International. Reed Business Information. p. 18. Retrieved 27 July 2009. 1 2 3 Hilken, Daniel (8 June 2006). "The Dragon that was too hot to handle". Retrieved 27 July 2009. ↑ "Year 1990 – 1994". Dragonair. Retrieved 27 July 2009. ↑ Hopkins, Harry (2–8 May 1990). "Cathay Prepares for 1997" (PDF). Flight International. Reed Business Information. p. 26. Retrieved 27 July 2009. 1 2 "Year 1995 – 1999". Dragonair. Retrieved 27 July 2009. ↑ "Directory: World Airlines". Flight International. Reed Business Information. 3 April 2007. p. 74. ↑ Mola, Roger A. (1 September 2003). "Last Stand at Kai Tak". Air & Space Magazine. Retrieved 31 March 2010. 1 2 3 "Year 2000 – 2004". Dragonair. Retrieved 28 July 2009. ↑ Li, Wen Fang (24 January 2003). "Cathay, Dragonair plead their case on mainland routes". China Daily. Retrieved 28 July 2009. ↑ "Cathay Happy With Dragonair Share Structure". Airwise. Ascent Pacific. 30 March 2005. Retrieved 28 July 2009. ↑ "Cathay finally seals Dragonair takeover". The Standard. 9 June 2006. Retrieved 28 July 2009. ↑ "Joint Announcement" (PDF) (Press release). Cathay Pacific. 8 June 2006. Retrieved 28 July 2009. ↑ "Analyst Presentation" (PDF) (Press release). Cathay Pacific. 9 June 2006. Retrieved 28 July 2009. ↑ "Dragonair to be downsized". Shanghai Daily. 29 September 2006. Retrieved 30 July 2009. 1 2 "Annual Report 2006" (PDF). Cathay Pacific. 11 April 2007. p. 13. Retrieved 28 July 2009. ↑ "Annual Report 2007" (PDF). Cathay Pacific. 31 March 2008. p. 7. Retrieved 28 July 2009. ↑ "Annual Report 2008" (PDF). Cathay Pacific. 6 April 2009. pp. 6–7. Retrieved 28 July 2009. ↑ "Dragonair". CH-Aviation. Retrieved 27 July 2009. ↑ "The Elite, Asia's Newest Prestige Club, Opens for Enrolment (Hong Kong)" (Press release). Dragonair. 12 February 2001. Retrieved 4 September 2009. ↑ "Dragonair's new Beijing office". Hong Kong Trade Development Council. 25 October 2007. Retrieved 28 July 2009. ↑ "China's best airline Dragonair now part of Oneworld alliance" (Press release). Oneworld. 1 November 2007. Retrieved 24 June 2009. ↑ "Year 2008". Dragonair. Retrieved 28 July 2009. ↑ Nadya Natahadibrata (14 March 2014). "Dragonair may bring more Chinese to RI". ↑ "Fast Facts – The Network". Dragonair. Retrieved 25 July 2009. ↑ "Profile on Dragonair". CAPA. Centre for Aviation. Archived from the original on 2016-10-29. Retrieved 2016-10-29. ↑ "Dragonair adds Jinjiang to China network through new code-share with Shenzhen Airlines". ↑ "Dragonair Boeing 737-200 (VR-HYL)" (JPG). Airliners.net. 21 December 1990. Retrieved 3 April 2010. ↑ "Airbus Industrie 330-300". Dragonair. Retrieved 30 July 2009. ↑ "Dragonair Becomes a Member of the Oneworld Alliance" (Press release). Dragonair. 1 November 2007. Retrieved 30 July 2009. ↑ "Dragonair's '20th Anniversary Aircraft' arrives in Hong Kong" (Press release). Dragonair. 5 May 2005. Retrieved 25 July 2009. ↑ "Fact Sheet – The Livery Design on Dragonair's 20th Anniversary Aircraft". Dragonair. Retrieved 25 July 2009. ↑ "The Marco Polo Club". Dragonair. Retrieved 25 July 2009. ↑ "Asia Miles". Dragonair. Retrieved 25 July 2009. 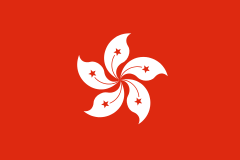 ↑ "Hong Kong (HKG)". LSG Lufthansa Service Holding AG. Retrieved 25 July 2009. ↑ "Inflight Dining". Dragonair. Retrieved 27 July 2009. ↑ "Reading Materials". Dragonair. Retrieved 27 July 2009. 1 2 3 "Dragonair unveils comprehensive enhancements to cope with future expansion and development". Dragonair. ↑ "Dragonair unveils new inflight product, largest product enhancement since 2005". CAPA Centre for Aviation. ↑ "Recognition". Dragonair. Retrieved 28 July 2009. ↑ "Dragonair is named World's Best Regional Airline at 2010 World Airline Awards". Skytrax. Retrieved 23 May 2010. ↑ "Dragonair Named Best Regional Airline at TTG Travel Awards 2010". Dragonair. Retrieved 15 October 2010. ↑ "Dragonair Named 'Asian Excellence Brand'". Dragonair. Retrieved 15 October 2010. ↑ "Fast Facts – Major Subsidiaries and Associates". Dragonair. Retrieved 26 July 2009. ↑ "Services". Hong Kong Airport Services Limited. Retrieved 27 July 2009. ↑ "Corporate Background". Hong Kong Airport Services Limited. Retrieved 27 July 2009. Wikimedia Commons has media related to Dragonair.